What if people wanted to use icebergs as a source of fresh water? Fresh water is scarce in many parts of the world. Places like Southern California, Saudi Arabia, and many countries on the African continent can use all the fresh water they can get. Something like 70 percent of the Earth’s fresh water is locked up in the polar ice caps, and the ice caps calve icebergs naturally all the time. 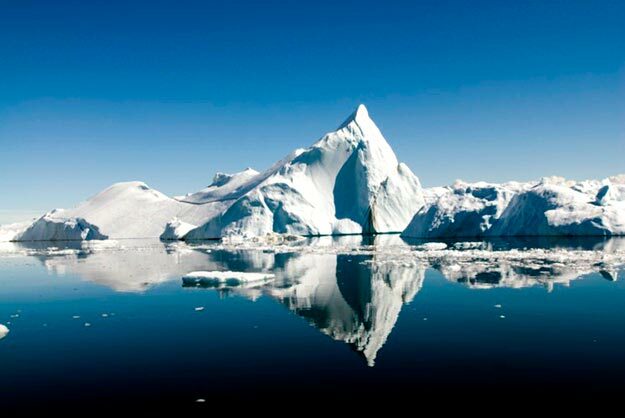 It therefore makes sense to think about towing huge icebergs to the places in the world that need fresh water the most. It would be great if you could easily transport an iceberg. A good-sized iceberg might measure 3,000 x 1,500 x 600 feet. An iceberg that size contains somewhere around 20 billion gallons of fresh water. If 1 million people each use 10 gallons of water a day, then 20 billion gallons of water would take care of the water needs of 1 million people for more than five years. For 10 million people, it would last 200 days. It really is a lot of water.